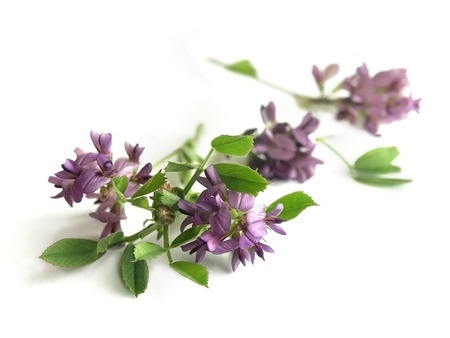 Alfalfa, Medicago sativa, also known as lucerne, is a perennial flowering plant in the pea family. It is used for grazing, hay, and silage, as well as a green manure and cover crop. The name alfalfa is used in North America. It has clusters of small purple flowers followed by fruits spiralled in turns containing seeds. Alfalfa is native to warmer temperate climates. It has been cultivated as livestock fodder since at least the era of the ancient Greeks and Romans. Alfalfa sprouts are a common ingredient in dishes made in South Indian cuisine.